Sorry. This post sort of got out of hand. Very long. I guess that's the result of cold temperatures. Not much else to do. It started out with the combination lock purchase back on "Black Friday" but I really couldn't pass up on 40% off. That sort of got the ball rolling. High on the "list" was a larger battery bank and an inverter to provide AC power even when not plugged into shore power like you would be in an RV park. I decided on two pairs of 6 volt golf cart batteries with each pair wired in series and the two pairs wired in parallel. Steve, the owner of the shop where the trailer is being stored this winter, sent me the dimensions of the front bay where the existing deep cycle battery is located. The only thing on the rear wall of the compartment are a couple of circuit breakers for the 12 volt system. 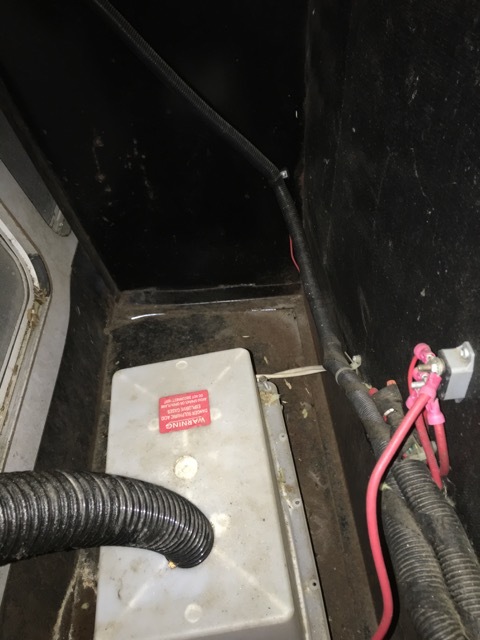 I will be installing a piece of plywood on the back of the compartment to simplify the installation of the other pieces of the 12 volt system. The existing 12 VDC circuit breakers will be moved onto the board. I ordered a 2000 watt pure sine wave inverter (1800 watt continuous, 3000 watt peak) to provide AC power from the batteries. This is enough to power most things in the RV including the microwave and a Keurig coffee pot. It won't run the air conditioner and it'll be foolish to run the water heater which can run on propane. The parasitic draw of this inverter is 0.800 amps so I will be installing a remote power switch. I'm still debating whether to install a transfer switch and a subpanel breaking out just the circuits that I want powered off of the inverter. These would include the just the kitchen, bedroom and living room outlets. 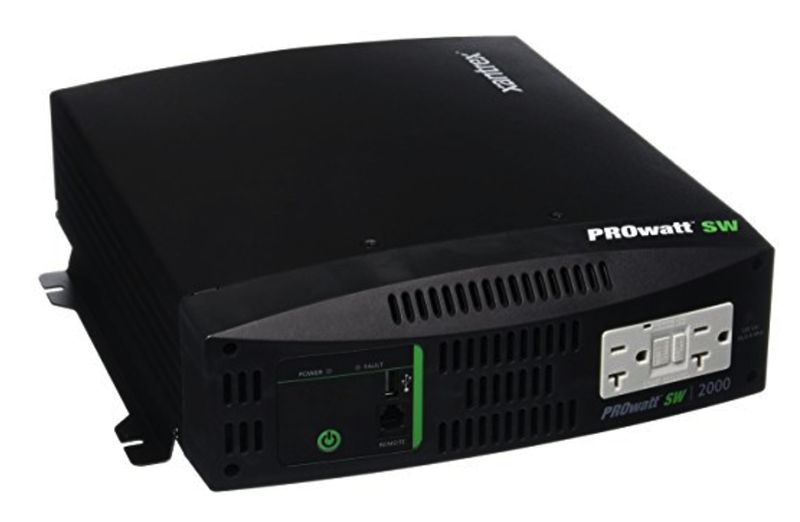 It may be convenient to run the refrigerator (324 watts peak) off the inverter while on the road instead of propane. To determine the actual power consumption I'll need to use my Kill-A-Watt meter to measure actual watt-hours during normal usage. 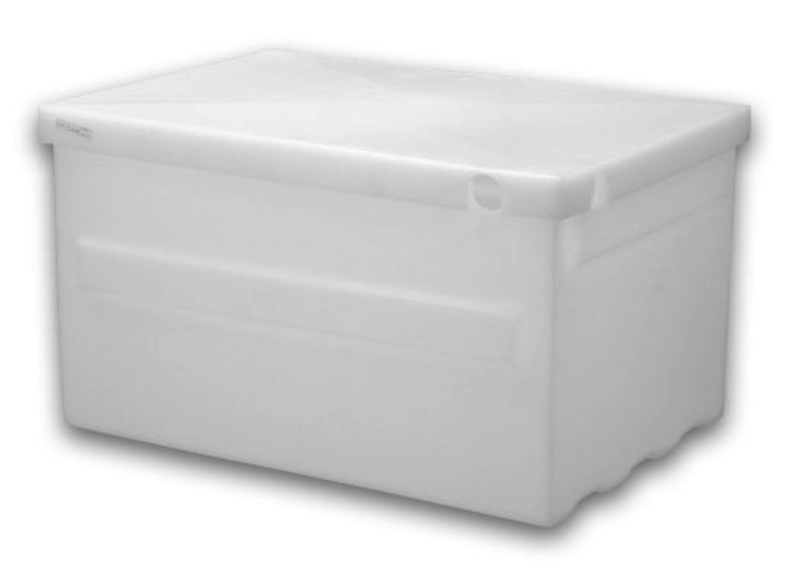 On some of the solar forums, some people have measured their RV refrigerators to use about 3 kw-hrs per day. This would be about 250 amp-hours from the battery bank over a 24 hour period. This is reasonable but your mileage may vary. Two other alternatives for power distribution are to run a couple of strategically placed dedicated inverter outlets or just plugging the shore power cable into the inverter after switching off unwanted circuits at the breaker panel. I'm thinking that automatic may be the way to go. The peak current draw of the inverter is about 250 amps @ 12 VDC according to the Xantrex web site. This requires some fairly large wiring. 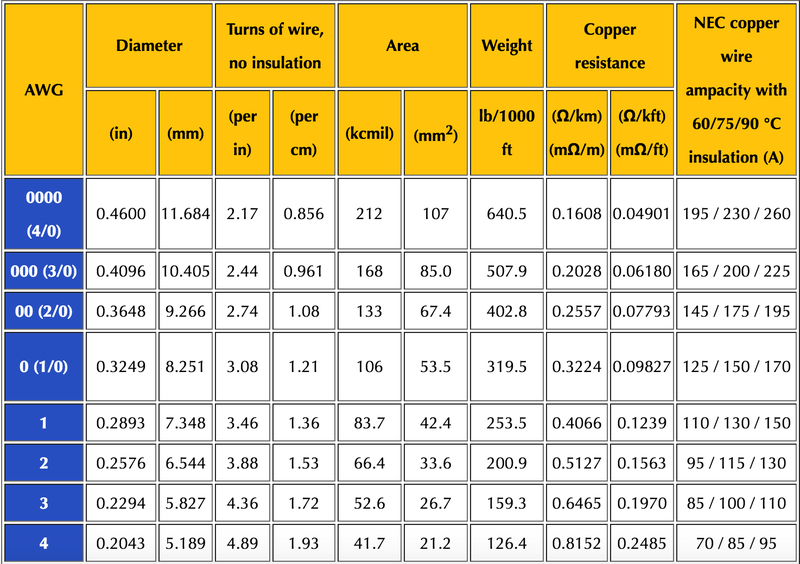 I found a table on the Internet that lists the ampacity of different gauge wire and 1/0 AWG wire is rated at 170 amps @ 90°C. By locating the inverter near the battery bank the voltage drop at peak current would be a very reasonable 0.1 volt based on a cable length of 5' with a resistance of 0.09827 mΩ/foot. I have about 10' of 2 awg arc welding cable that a fellow Airhead gave me back when I was installing the Cozy sidecar onto the BMW. Welding cable is preferred since it has a lot of fine strands and is very flexible. Since the inverter will be the largest consumer of power, I will probably use 2/0 wire for all of the the battery cables. The inverter and the remote switch was ordered from Amazon. I didn't think that Amazon would honor the free Prime shipping but I was wrong. It arrived yesterday. This afternoon, I tried out the crimp tool for heavy gauge wire. This wire was on the 2 awg and it was a good test. 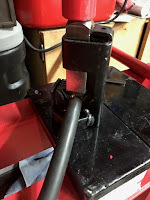 The crimp tool is designed for use with a hammer but since the hydraulic press was handy, I figured why not. It resulted in a very solid mechanical connection. No solder needed. I've been reading a lot articles and watched several YouTube videos on RV battery systems and solar power. And all of them recommended the installation of a battery monitoring system before doing anything else. Another black friday sale purchase was the Bogart Engineering Trimetric TM-2025-RV along with the required shunt and cable. I ordered them from Northern Arizona Wind and Sun and they shipped via USPS. (If you ship to/from Alaska, USPS is the cheapest option especially the flat rate boxes) The shunt is rated at 500 amps and is to be mounted on the negative battery cable and measures all current in and out of the battery bank. 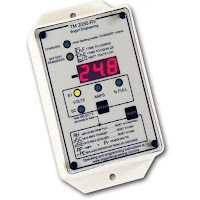 The shunt has a very low resistance and the Trimetric measures the voltage drop across the shunt and calculates the current. This is the older model which does not have the ability to control the Bogart Engineering PWM solar charge controller. I haven't decided on solar but if I did install solar panels, I am inclined to go with a MPPT charge controller instead of a PWM model due to the increased efficiency. In this diagram from teslaxcanadadotcom.files.wordpress.com, at low battery voltage, the actual charge rate for a PWM controller is a fraction of the panel rating. Where the MPPT controller will always charge at the maximum wattage the panel produces. I'll go into more detail in another post if I actually decide to install solar power. Amazon won't ship solar panels to Alaska so I have plenty of time to do more research. In fact, the local solar shop has a small selection of panels with the price around $1/watt. Their panels are designed for residential use (higher voltage = less resistive loss) and require a MPPT charge controller to be used on a 12 VDC system. I will do another post on solar once I've decided not just what but if. I also plan on ordering a two 2000 watt gasoline generators that can be hooked up in parallel. Both will be needed to run the roof air conditioner but only one for most other things. So the solar is not essential but it sure is a lot quieter than running a generator to charge up the battery bank. The generators will be stored in a toolbox in the bed of the truck along with their fuel supply. One larger generator may be more convenient but I like the idea of having a "spare". Over the holidays, I plan to set the battery system up in the garage by mounting these and other components to the plywood board including the Trimetric monitor and making all of the cables. This will allow me to test the components and simplify the installation into the RV in the Spring. Other components include ground bus, 12 VDC switch for the inverter and a 250 amp catastrophic fuse for the positive side. Should be interesting. I look forward to any post involving solar power. I find the battery/inverter/solar/backup power stuff interesting, even though I can count on one hand the times I've needed it. 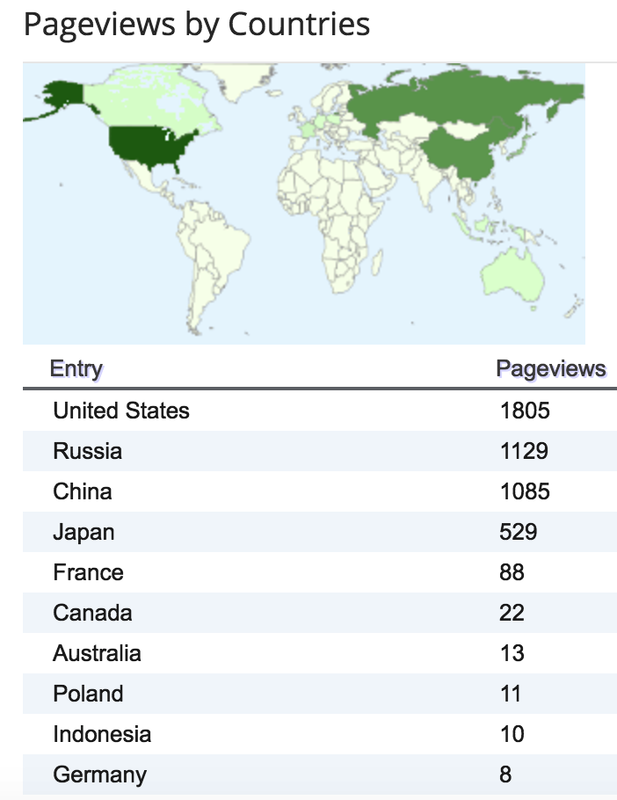 I just looked at my stats and the most page views are from Russia and Poland by far. Thats new. Already working on the next solar post comparing PWM and MPPT charge controllers. Interesting how much goes into updating the power supply on an RV. Solar, from my perspective, would be the way to go as it would be working during at least half of the time. Drawback is you have to pay attention to where you park the rig. I have a large number of Russian and French page views, but they do seem to like you more. Must be a Ural thing? I like the idea of solar not from a cost perspective but the system continuously charges with no fuss or noise. I bet those traffic reports are because you're a Uralista who rides in cold conditions most others quail at. Good stuff on the items you've ordered and are going to install. I too continue to debate solar power, we'll see how things go in the next few months. I find boondocking appealing but power requirements can get interesting to say the least. Richard, you and Dom are beyond scratching any itch I may have had to think of RV'ing. If I attempted that level of electrical inventiveness, I have no doubt that my RV would sooner or later light up the night sky like a supernova with a display that would elicit appreciative "Oooohs" and "Ahhhhhs" from onlookers. Kindly carry on as I run to make a batch of popcorn.